Oh em gee, it’s only the flipping Care Bears, recreated in the most toe-tappingly adorable form possible. 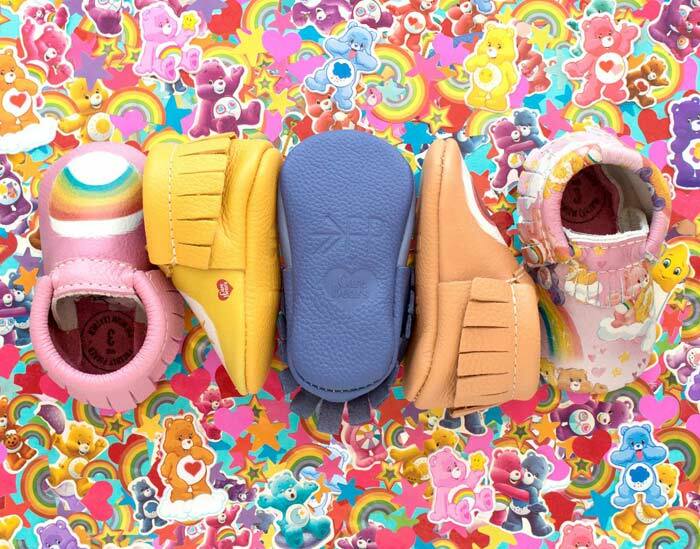 If you’re a child of the ’80s with fond memories of Cheer, Tenderheart and – my personal favourite – Funshine, prepare yourself for CARE BEAR MOCCASINS. Coming to a baby foot near you. 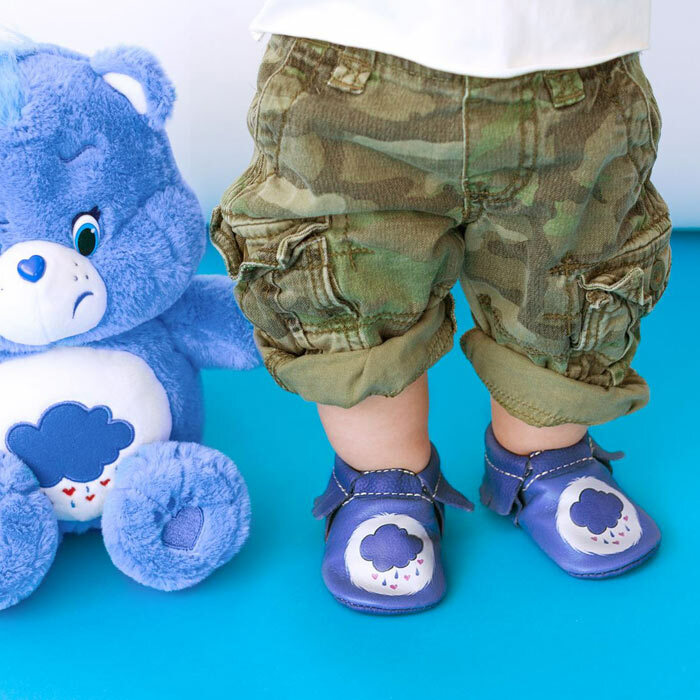 US brand Freshly Picked has just released a range of Care Bear baby shoes and our Funshine loving hearts are skipping a beat. 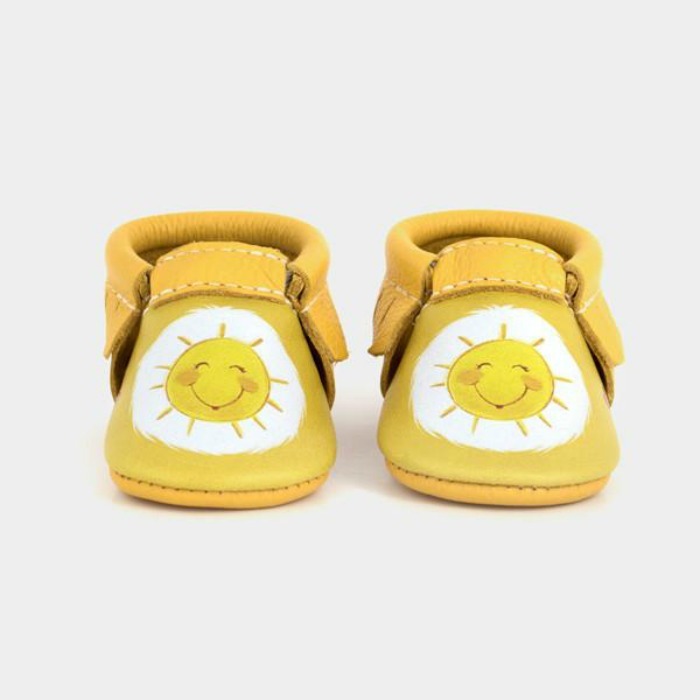 Soft-soled and made from wear-tested leather, pair your baby with the belly badges from Funshine, Grumpy, Cheer and Tenderheart or step out with the whole gang in technicolour (our personal favourite). Be still our bear loving hearts. 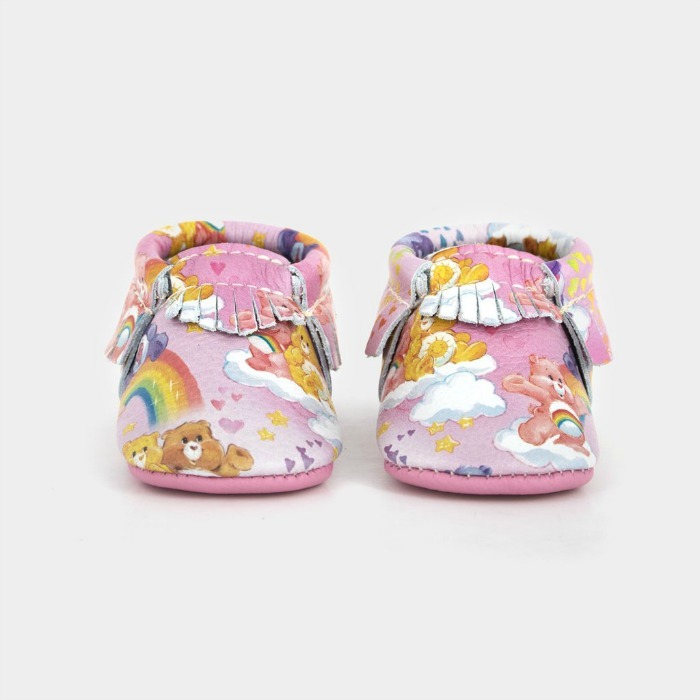 Check out the full range of Care Bear baby shoes at Freshly Picked. Still feeling nostalgic? 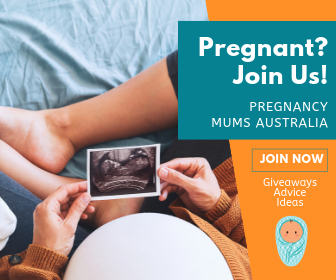 Read our previous article about growing up in the ’80s and let us know how different life is for your kids.